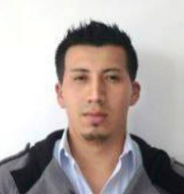 Israel D. Herrera Granda is an Resarcher and Professor at Industrial Engineering Program from the Universidad Técnica del Norte, Ibarra, Ecuador. He holds a Automotive Engineering degree and a Master in operations and logistics (MOL) degree from Escuela Superior Politécnica del Litoral. He has published conference papers and chapters of regional books. He has participated in numerous projects and completed research in several areas. Specialist in Operational Research, Logistics, and Transport reseach. Applied maths, Optimzation, Linear Programming, Combinatorial Optimization, Heuristic optimization, VRP. The energy sector is in constant search of new clean sources of energy, both to supplement its production, as well as to reduce dependence on fossil fuels and its gradual replacement based on sustainable development methods. In this context, municipal waste is considered as a renewable energy source, since they have a high biomass content (paper, cardboard, food waste, wood, straw, leaves). A renewable source alternative with great prospects for the future is the use and energetic valuation of municipal solid waste. This research aims at the design of a laboratory-scale biodigester for the energetic industrialization of municipal solid waste, serving as a basis for the construction of a prototype on a pilot scale or a plant for the Anaerobic treatment of these generated wastes. In this way, it will be possible to recover the energy contained in them, in order to reduce the flow of the waste destined to the landfills and to provide a production rate for the obtaining of biogas, taking as fundamental basis for the calculations of design and the Improvement of laboratory-level production, through co-digestion with other types of organic waste and use of alkaline inoculating substances and determination of the most appropriate anaerobic digestion technology for waste treatment Municipal solids. Due to the vital importance of ensuring the permanence of companies in the market over time, the investor must have a high degree of possibility of not failing at the moment of implementing their business, ensuring that it will be economically viable, proceeded to carry out the present investigation with the purpose of knowing the economic feasibility of the opening of a plant of processing of tires out of use inside the city of Ibarra, carrying out a series of steps that start with the bibliographical revision to find a methodology that allows to develop a feasibility study, which determined the completion of a market study as the first point which yielded favorable results in search of a demand to satisfy and that was: for rubber granulation demand in the years 2018, 2019, 2020, 2021 and 2022 will be 284, 509.2, 775.2, 1082.9, 1178.8 ton / year respectively and for recycled steel in 2018, 2019, 2020, 2021 and 2022 of 100, 176, 263.45, 363.3 and 391.3 tons / year, respectively, which allow us to see a positive outlook for developing the product. As a second point, a technical study was developed, which allows the search for the appropriate machinery for the fulfillment of the demand, analyzing and proposing the purchase of an out-of-use tire processing line that has a processing capacity of 0.6 ton / hour, which is considered adequate to meet the expectations raised in the market study. As a final step, a financial study was proposed that contains a comprehensive analysis of the indicators developed in this section and will allow the conclusion of whether the project is viable or not. For this purpose, the evaluation of the results obtained was: NPV = 364 336.21; R B / C = 2.51; TIR = 27% and PRI = 1.30, and according to the analysis of the evaluation criteria of an investment project, the plant for the processing of out-of-use tires is ready for start-up, since the project is profitable and feasible. The investigation was carried out with the purpose of evaluating the indicators of exploitation of warehouses, in the city of Ibarra, Ecuador. For this, the procedure designed by (Narvaez J. E., 2017) is chosen. The initial diagnosis (Yakcleem Montero Santos, 2016) states that the use of the area, height and volume of the store were not within the specific ranges to reach an óptimal efficiency index. Therefore, it was decided to apply the aforementioned procedure to make a proposal for improvement to the winery under study. It starts with the ABC analysis of the inventories, then performs the distribution in plant through Corelap 1.0 software and the analysis of the operational method (Towers, 2013), for the new design of the layot, which will allow to raise the technological level of the warehouse. This research work focuses on the study of different models of solution reflected in the literature, which treat the optimization of the routing of vehicles by nodes and the optimal route for the university transport service. With the recent expansion of the facilities of a university institution, the allocation of the routes for the transport of its students, became more complex. As a result, geographic information systems (GIS) tools and operations research methodologies are applied, such as graph theory and vehicular routing problems, to facilitate mobilization and improve the students transport service, as well as optimizing the transfer time and utilization of the available transport units. An optimal route management procedure has been implemented to maximize the level of service of student transport using the K-means clustering algorithm and the method of node contraction hierarchies, with low cost due to the use of free software. Thermoregulation refers to the physiological processes that maintain stable the body temperatures. Infrared thermography is a non-invasive technique useful for visualizing these temperatures. Previous works suggest it is important to analyze thermoregulation in peripheral regions, such as the fingertips, because some disabling pathologies affect particularly the thermoregulation of these regions. This work proposes an algorithm for fingertip segmentation in thermal images of the hand. By using a supervised index, the results are compared against segmentations provided by humans. The results are outstanding even when the analyzed images are highly resized. This research work presents different guidelines for the improvement of repair and maintenance operations in the commercialization company of agricultural machinery called “CampoMaq”; based on the use of methodologies belonging to the eld of logistics management and operational research, which showed opportunities for improvement and reduction of operating costs in the repair and maintenance of agricultural machinery, possibilities to optimize the transfer times between operations through the redesign of the facilities (layout) and possible improvements in the supply management of raw materials, spare parts and supplies used. The research was done for a line of automotive spare parts in the city of Ibarra in Ecuador. With the objective of designing the system of provisioning for the company object of study and thus to satisfy the needs of the clients in time, quantity and specifications. This was achieved through an analysis of historical sales data for 3 years. The ABC classification was performed for a total of 159 articles of type C, 95 type B and 63 type A; this last group of articles, using the statistical software ForecastPro Trac, the sales forecasts of each article were executed. Due to the stable demand that already shows the importance of each article, as well as the value obtained from the coefficient of variability, the EOQ model was applied. The execution of the selected model allowed to obtain lower costs, establishing the optimal quantity of orders, as well as the moment in which the new order is made, considering the security inventory of the products. The economic assessment of the natural resources constitutes a fundamental component to promote processes of conservation of the biodiversity, environmental services and cultural values associated to the natural protected spaces, because, integrates to the debate the economic dimension of the natural capital. That ́s why, the present investigation offers information that contributes to the handle of the peatland ecosystem in the Chimborazo Fauna Production Reserve. This process consisted in the physical-chemical characterization of the floor of the peatlands, the quantification of the organic carbon stored in the floor and the economic assessment of the organic carbon. The data indicate that the peatlands possess sour floors, not saline, of sandy texture and with high levels of organic matter (7.27%). This reflects in the content of organic carbon total that rises to 97 324 tons in an extension of 519 has. Therefore the total values of organic carbon viabilizan the implementation of a model of payment by environmental services through the commercialization of credits of carbon, that of agreement to the financial economic analysis would suppose a Net Current Value of $ 323 217 and an Internal Tax of Return of the 128%. Herrera I., Collaguazo G., Lorente L., Montero Y. y Valencia R.
El presente trabajo consiste en la revisio ́n de las metodolog ́ıas para la optimizacio ́n de la red de recoleccio ́n y disposicio ́n de Residuos So ́lidos Municipales (RSM) en pa ́ıses en v ́ıas de desarrollo, como parte de un enfoque hol ́ıstico para la adecuada gestio ́n de RSM, dentro del cual se detallan las t ́ecnicas para la optimiza- cio ́n de las rutas recorridas por los camiones recolectores de RSM. Dando cabida al estudio del enrutamiento de los camiones recolectores de residuos so ́lidos municipales (WCVRP). Una extensa revisio ́n del estado del arte de la optimizacio ́n de rutas de recoleccio ́n de RSM demostro ́ la viabilidad y factibilidad de aplicar metodolog ́ıas para el modelamiento de los diferentes WCVRP y los beneficios obtenidos mediante estas implementaciones en distintas localidades, se hace tambi ́en una revisio ́n del software para tratar el WCVRP tanto comercial como tambi ́en de las opciones de acceso libre, a las cuales se les da mayor relevancia. Adicionalmente se presenta una clasificacio ́n esquema ́tica de los diferentes modelos matema ́ticos para el tratamiento del WCVRP y se revisan las aplicaciones que han aportado mayores impactos en t ́erminos de optimizacio ́n de las rutas de reco- leccio ́n de RSM en los u ́ltimos an ̃os, finalmente se revisan las implementaciones sobre esta tem ́atica en Ecuador. The object of this paper is the design and construction of an LNG satellite plant to supply the industrial sector of the city of Cuenca in Ecuador. The idea came from to partially replace the consumption of liquefied petroleum gas (LPG) for liquefied natural gas (LNG). One of the main reasons is that the refining process for LPG increasing cost, so a cheaper option arises, and this would be to use LNG. A growing demand for natural gas is expected, so the government is currently implementing a project on extraction and liquefaction of natural gas in the Gulf of Guayaquil, initially the distribution of LNG will be made through the trading of LPG. En el presente proyecto se diseñó y evaluó una metaheurística de algoritmo genético hibridándola con la metaheurística del vecino más cercano para el ruteo de vehículos con el objetivo de optimizar la distribución en una empresa comercializadora de autopartes de nombre ficticio "REPUESTOS S.A." en la ciudad de Quito, para ello se desarrolló una aplicación programada en el lenguaje C# e inspirada a su vez en el enunciado del problema de ruteo vehicular con ventanas de tiempo y capacidad limitada CVRPTW. Una vez desarrollada la aplicación se la evaluó contra un modelo aproximado del VRPTW programado en GAMS con una pequeña cantidad de nodos clientes demostrándose la calidad de las respuestas proporcionadas por la aplicación, luego se pasó a resolver los problemas reales de una empresa distribuidora de autopartes en la ciudad de Quito o DMQ, con una mayor cantidad de clientes en donde se detectó las posibilidades de mejora y la factibilidad de implementarlo en dicha empresa.